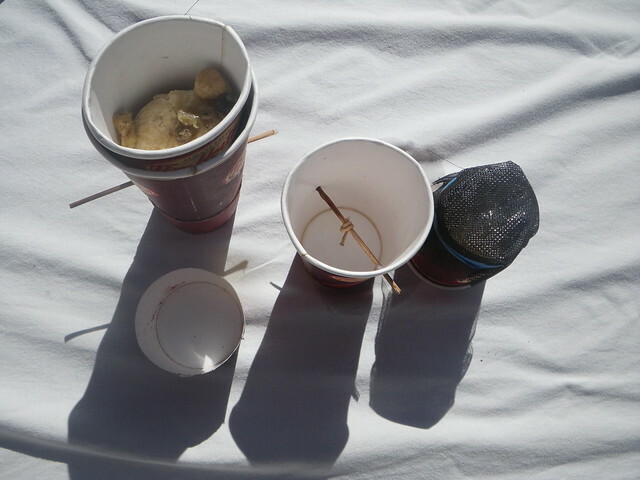 A couple of discarded waxed paper coffee cups, an appropriate sized candle wick, a small cooler, a window, a few small sticks, a small piece of cloth or old window screen, a black garbage bag, and an elastic. 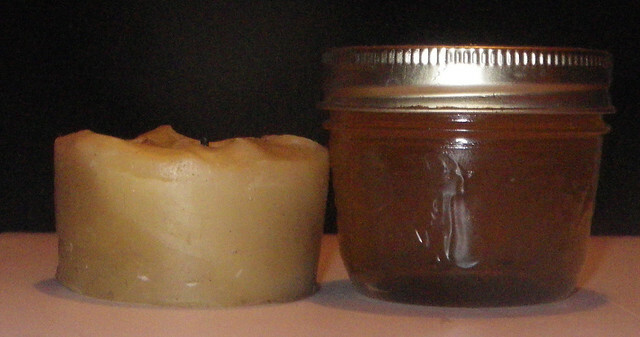 The first melting is all about trying to make your wax as pure as possible. Cut the bottom out of coffee cup A. Place cloth on the bottom of cup A with an elastic. 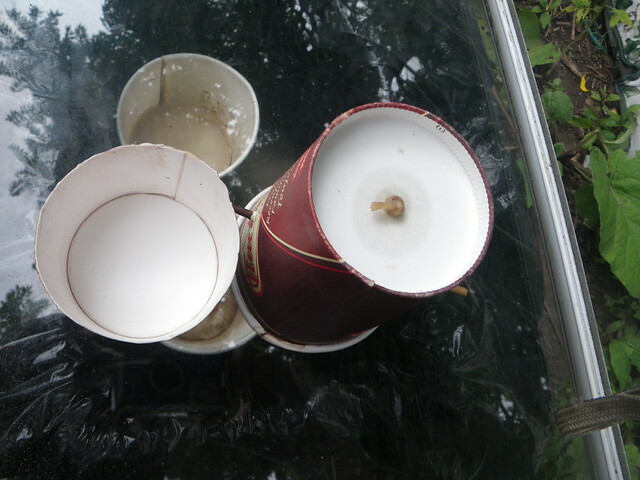 Poke small holes in the sides of cup B above the estimated needed wax capacity and slide a small stick into the holes. 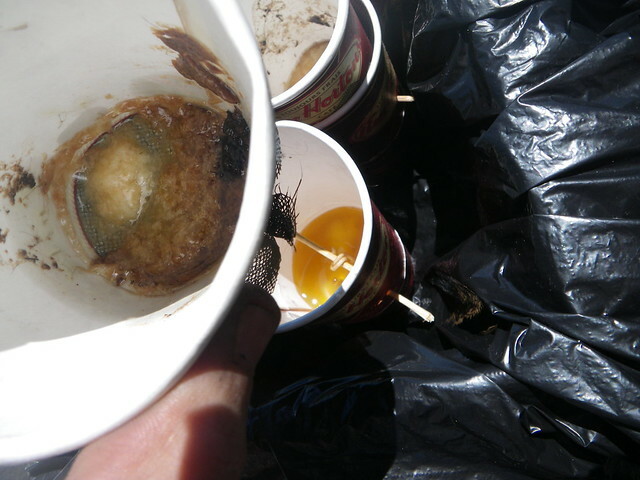 Rest cup A full of wax on top of the stick inside of cup B. 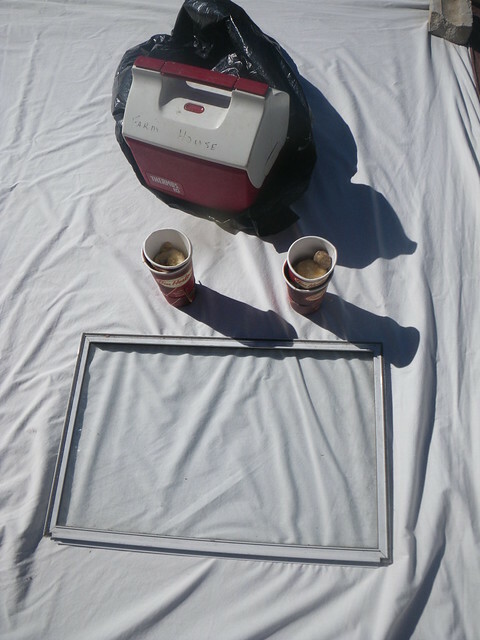 Place the cooler inside the garbage bag, the cups inside the cooler. 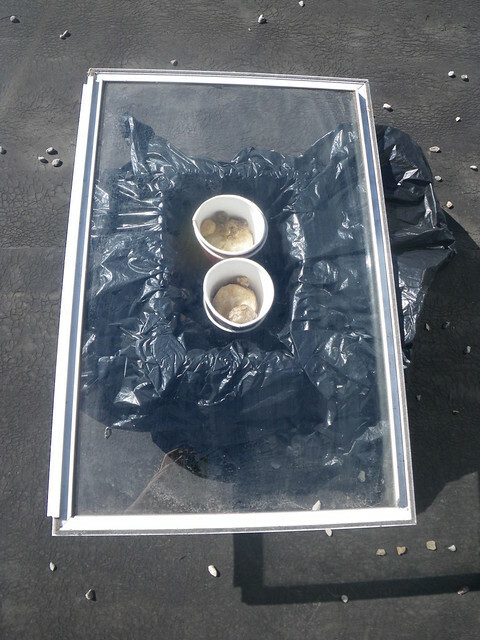 Then place the window on top in full sun. The cloth should keep most propolis and debris in the top cup. 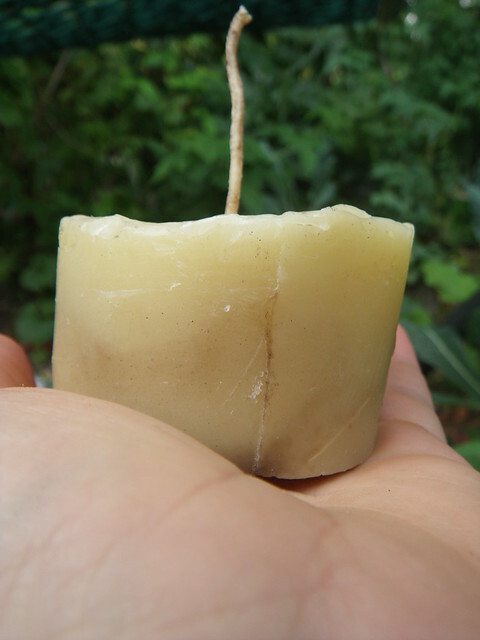 I make the candle following a similar process as described above except a wick is added. 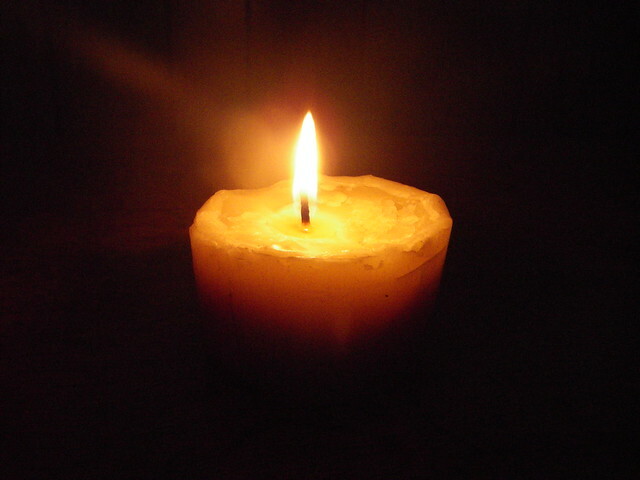 Using the right sized wick for the size of the coffee cup is essential for the candle to burn properly. This time a small hole is made in the centre of the bottom of cup b.
Thread the wick through the hole and use a knot to keep the end from passing through the hole. 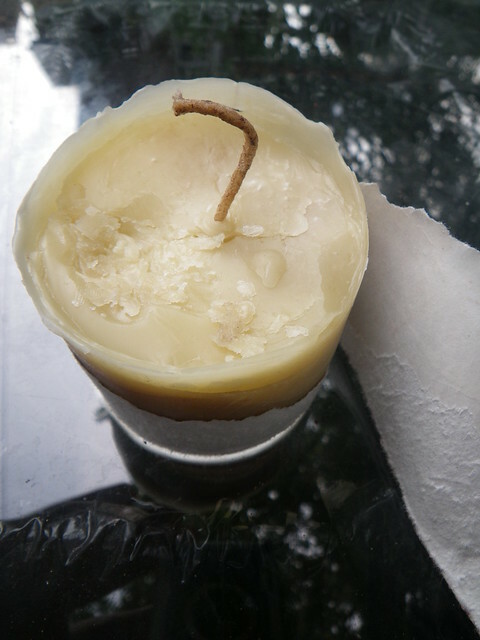 You can use an additional cup to catch any wax that might pass through this hole, but if you keep the hole tight and keep the wick knot snug against it, the wax will not drip through. Tie the other end of the wick to the centre of the stick. Once the wax has all melted into cup b allow the wax to cool slowly. If it cools to quickly the wax may crack. Then rip the cup away from the wax. Trim the wick as necessary. People use all sorts of things to filter their wax. The cleaner you can get it the better it will burn. A doubled up window screen might give you a working candle if your wax is fairly clean to begin with, but a cotton cloth or paper towel will result in a candle that burns brighter. 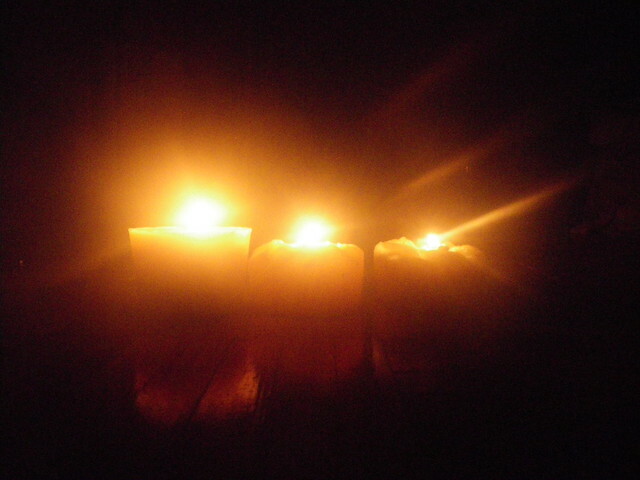 The below photo shows the difference in in brightness between candles made with different degrees of filtering.